Standing on a dock in Sayville circa 1907, boards creak with the weight of discarded bivalve shells. Long, loaded oyster boats make port with product that crowds the deck, stacking 6-feet high. Their bounty will be sold as cheap and readily as New York street hotdogs are today. Families of average means will eat them three times a week: roasted, stewed, pickled, Rockefeller-ed. We may never see the likes of turn-of-the-century shellfish production on Long Island again, but the current boom will be better still, not least because of its impact economically and environmentally. “The oyster market is strong, it hasn’t been this strong in years,” said Chris Quartuccio, a pioneer in oyster farming on the Great South Bay (some would say the pioneer). Quartuccio started Blue Island Oyster Farm, located near the Fire Island Inlet in GSB, with a land-lease in 2005. There were no other farms prior to that. “We’re growing more [and] we’re trying to keep up with demand. We sell 10 million oysters a year here. 300 oysters a week. Only thing holding me back is supply.” And Quartuccio is not just speaking of farm-raised stock from his company; he sources from across the Island. He encourages others to get involved and assists them, almost like a joint venture, sometimes selling and distributing their product. This effects all of us: This May there was a massive die-off of terrapins (turtles) and bunker fish in Flanders and Riverhead. The animals had been feeding on oysters that had eaten (and concentrated) a toxic red tide. image: matt furman. It just so happens that this success coincided with a flourishing of oyster farmers across Long Island. 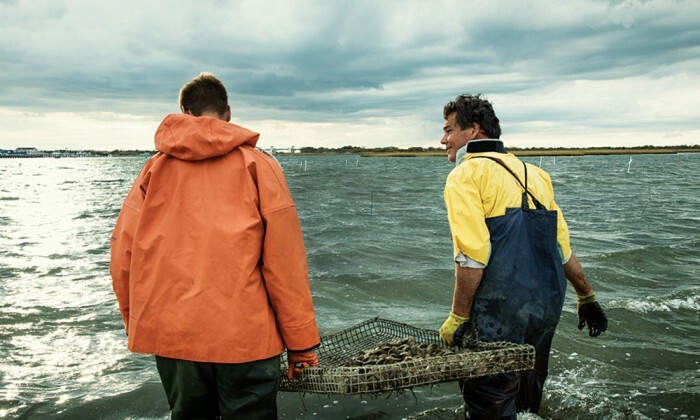 On our sandbar, the Suffolk County Shellfish Aquaculture Lease Program was initiated in 2009 and turned what was historically a big business operation into a cottage industry. “The town of Islip and Brookhaven are both leasing, which I didn’t think would happen in my lifetime,” said Rivara, who was on several committees in the mid-2000s when discussing the privatization of these public waters. The key to getting the lease program passed, despite public opposition, was parceling. “Instead of leasing thousands of acres to one person [like in the 1880s to 1950s], we’re going to limit it to 10 acres and get more people involved.” The results? Mom-and-pops spread out in Peconic Bay, the Sound and even in GSB. “We had 25 join this year. 10 years ago there was just one. And there’s a waiting list for people to get out there and grow. It’s becoming a chic industry,” said Quartuccio. With the commercial oyster industry clearly thriving, what does it mean to the average Long Islander? Clean water. “Water quality and algae blooms are the biggest concern to the oyster industry as it starts to really expand.” Marine scientist and former Peconic Baykeeper Kevin McAllister now heads Defend H2O, a homegrown organization fighting to keep Long Island’s shores and waterways clean. Ironically, the greatest resource for keeping HABs in check is more oysters. “The oyster farmers are the canary in the coal mine,” said Quartuccio. Oysters and other shellfish (like clams) are filter feeders. 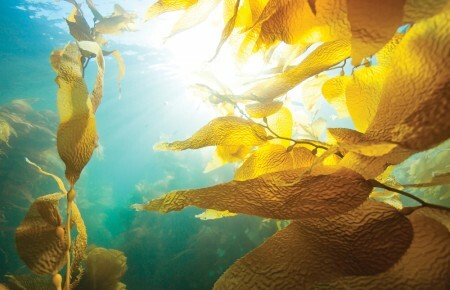 They feed on microscopic algae, called phytoplankton, which include non-toxic brown tide. A single oyster filters 30-50 gallons of water per day, keeping algae in check before they become overpowering blooms. But if the population is too low, the scale can tip in the other direction and shellfish are overrun and die out. “[If] you have this massive filtration of water, you never really get an [algae] explosion,” McAllister said. “By sheer numbers shellfish [can] keep the water quality improved.” They’re like the Dyson vacuums of the sea. 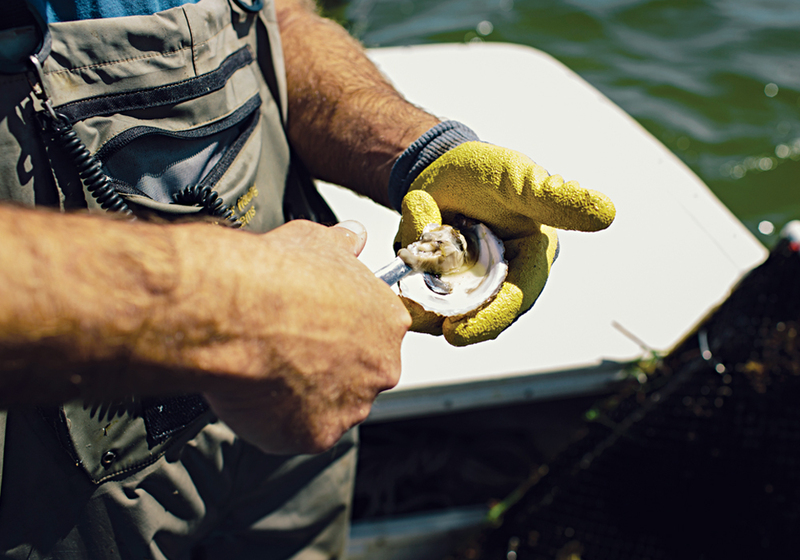 It’s a numbers game: more oysters = cleaner water. But it’s also a fight to stem the initial cause of these HABs, mainly pollution from nitrogen–rich chemicals. “All roads lead to excessive levels of nitrogen, which are feeding the growth…primarily from cesspools out here and lawn fertilizers,” said McAllister. With momentum gathering from commercial oyster farming and shellfish awareness, there’s been an increase in community programs and local nonprofits advocating on both fronts of the issue. It’s a three-spoked wheel that’s constantly spinning: fighting pollution, advocating conservation and promoting commercial concerns. And oysters are the axis. But the tide appears to be turning in our favor. 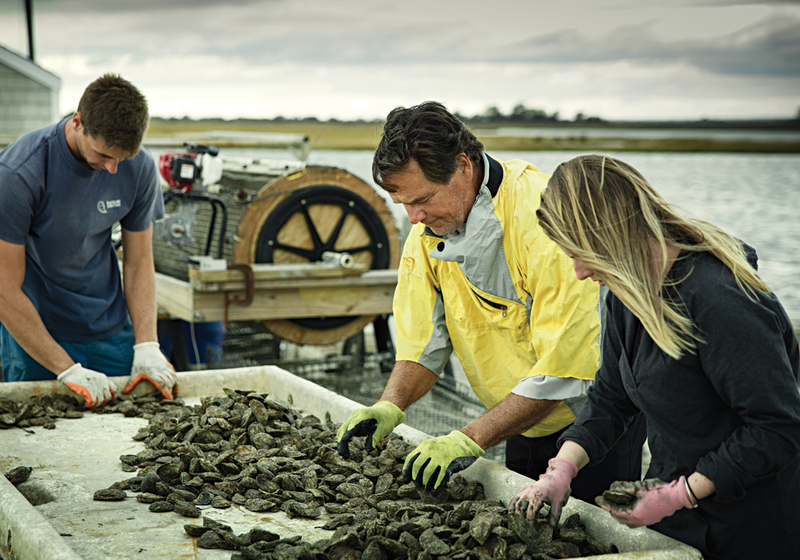 Right now our oysters aren’t just an industry or a delicacy, they are becoming our identity. They encompass all aspects of what makes Long Island: the shores, the homegrown food, local communities and boutique businesses. 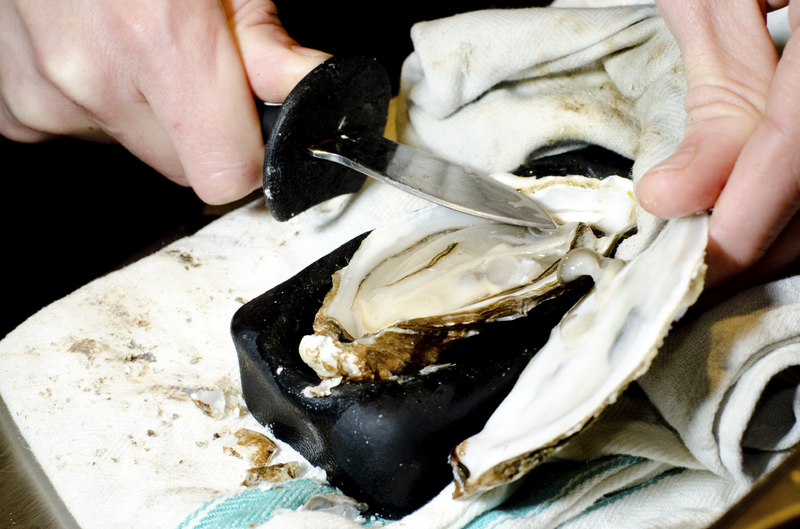 As pearly Blue Points are shucked and eaten en masse this month, give a cheer to the rugged bivalve that is literally feeding new life into the health of our shores and fishing industry. Save the Great South Bay, a nonprofit started by local baymen, surfers, concerned citizens and marine biologists in the summer of 2012, advocates a scientific approach to managing the bay’s health, with an emphasis on revitalizing filter shellfish. They are also reacting against the pollution that’s made waters murky and un-swimmable. Friends of Bellport opposes the manual closing of GSB’s new inlet created by Sandy (which, silver lining, has been improving water quality since). They’ve also collaborated with Rivara and Cornell Co-Op to plant shellfish in Bellport Bay. Operation Blue Earth, implemented by Quartuccio, works to stem pollution coming from bayside neighborhoods. OBE asks Sayville residents to voluntarily end their use of fertilizers, pesticides and herbicides and display a green circle surrounded by a blue circle on lawns and cars to show support. Sayville is the test model for the project, which Quartuccio hopes to roll out to nearby towns.